Thanks to the new FastStart feature. Microsoft's July update for Xbox begins rolling out today, bringing with it a range of system improvements, including better games and app organisation, and the new FastStart feature first touted at this year's E3. 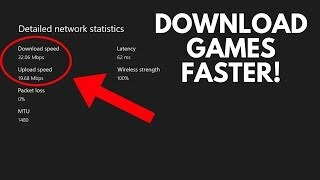 FastStart is designed to let Xbox One players jump into a game as quickly as possible - "twice as fast", says Microsoft - once it has started to download. This works by identifying the files needed to begin playing and then prioritising their retrieval. The remainder of the title will continue downloading in the background during play. 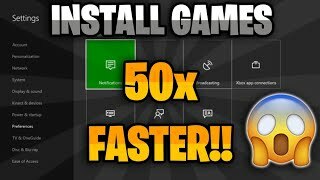 The feature only works with FastStart-enabled titles, including some English-language offerings from the Xbox Game Pass catalogue. Microsoft says that the selection will expand over time. Elsewhere, the update adds new Xbox One search features - accessed by pressing the Y button from anywhere on the dashboard - and better organisational options for games and apps. Specifically, Pins now have a new Groups option, enabling users to create multiple collections of any content found within My Games & Apps. 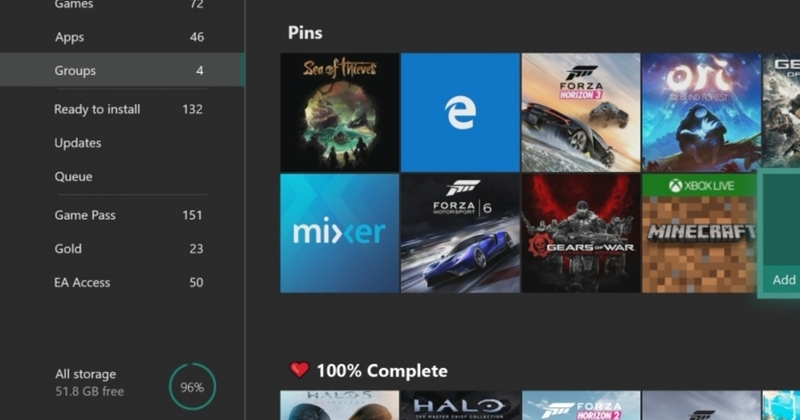 These groups can be given custom names, organised as needed, and added to the Home screen; they're also linked to Xbox Live accounts for easy syncing between Xbox One consoles. Xbox One's new Groups functionality.Last but not least, the update brings a number of enhancements to Mixer on all devices, including more control options, full-screen webcam support for streamers, plus broadcast quality and stability improvements. Further details can be found in Microsoft's July Xbox update announcement post.